Supporting Out In Jersey magazine’s business partners helps make the LGBT community stronger. Please thank them for their support. Hotel Tides, 408 Seventh Ave., Asbury Park, 732-897-7744, www.hoteltides.com. 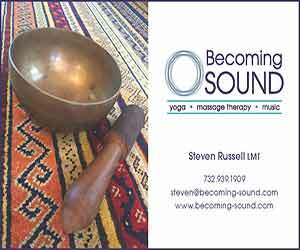 Rainbow Room, 55 S. Bellevue Ave., Atlantic City, 609-317-4593, RainbowRoomAC.com. Institute for Personal Growth, Counseling and Psychotherapy, Offices in Highland Park, Jersey City, and Freehold 800-379-9220, www.ipgcounseling.com. 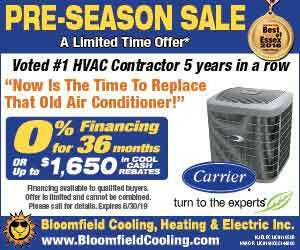 Bloomfield Cooling Heating & Electric, Protect your home and family, 973-237-0505, bloomfieldcooling.com. Suburban Furniture, #10 State Rt. 10 West, Succasunna, 973-927-1300, SuburbanFurniture.com. 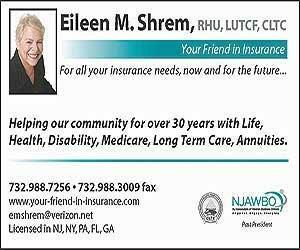 Eileen M. Shrem, RHU, LUTCF, CLTC, Your friend in Insurance, 732-988-7256, your-friend-in-insurance.com. Leslie Farber Law, 33 Plymouth St., Suite 204, Montclair, 973-509-8500, LFarberLaw.com. NJ Divorce Solutions, 510 Thornall Street, Suite 270, Edison, 732-529-6937, CentralJerseyFamilyLaw.com. African American Office of Gay Concerns, Providing HIV Services with Pride for 12 years, 877 Broad St., Suite 211, Newark, 973-639-0700, www.aaogc.org. Atlantic City GLBT Alliance, www.acglbt.org. The Center, 806 3rd Ave, Asbury Park, 732-774-3416, www.thecenterinap.org. Garden State Equality, Asbury Park, New Jersey, 973-473-5428, North Jersey office in Montclair, www.GardenStateEquality.org. Hetrick-Martin Institute in Newark, www. HMI.org. Hyacinth AIDS Foundation, 5 locations in New Jersey, 732-246-0204, www.Hyacinth.org. Jersey Pride Inc., Asbury Park Gay Pride group,www.jerseypride.org. Newark Gay Pride, Newark, www.NewarkGayPride.org. New Hope Celebrates, New Hope, PA-Lambertville, NJ Gay Pride, NewHopeCelebrates.com. NAMES Project Foundation of Northern NJ, 201-265-0600,www.namesnnj.org. New Jersey Symphony, @ NJ Performing Arts Center, Newark and 3 other locations, www.NJSymphony.org. North Jersey Gay Pride, Maplewood, www.NorthJerseyPride.org. QSpot LGBT Center, 66 S. Main St., Ocean Grove, 732-455-3372, www.Qspot.org. Prevention Resource Network, Project R.E.A.L., 816 Sunset Ave., Asbury Park, 732-502-5100. PrintROC, 620 South Ave., Rochester, NY, www.PrintROC.com. Church of the Holy Spirit-Song, Sunday 9:30 am Leisure Park Chapel, 1400 Rt. 70, Lakewood, Cohssnj.org. 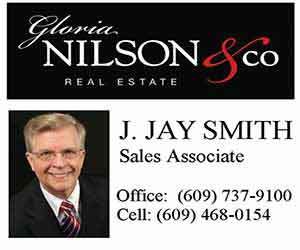 J. Jay Smith Gloria-Nilson Real Estate, 609-737-9100, jjaysmith.com. Sleepy Hollow Realty – REMAX, 1304 South Ave., Suite 3, Plainfield, NJHomeSales.com. Esty Street, 6 Spring Valley Rd., Park Ridge, 201-307-1515, EstyStreet.com. 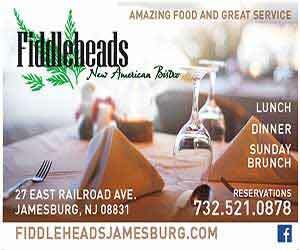 Fiddleheads, New American Bistro, 27 East Railroad Ave., (Rte 522), Jamesburg, 732-521-0878, FiddleheadsJamesburg.com. Home of Networking With Style, the LGBT social networking party of central New Jersey. Bergen PAC, 30 N. Van Brunt St., Englewood, NJ, 201-227-1030, BergenPAC.org. George Street Playhouse, 9 Livingston Ave., New Brunswick, 732-246-7717, gsponline.org. 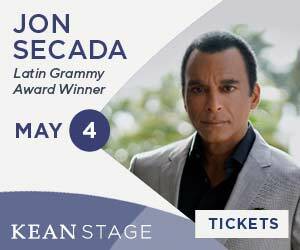 Kean Stage, 1000 Morris Ave., Unionb, 908-737-7469, KeanStage.com. Mayo Performing Arts Center, 100 South St., Morristown, 973-539-0345, mayoarts.org. McCarter Theatre, 91 University Place, Princeton, 609.258.2787, McCarter.org. New Jersey Symphony Orchestra, 800-255-3476, NJSymphony.org. New Jersey Performing Arts Center, Newark, 888-GO-NJPAC, njpac.org. Paper Mill Playhouse, 22 Brookside Drive, Millburn, 973-315-1680, Papermill.org. South Orange PAC, 1 SOPAC Way, So. Orange, NJ, 973-313-2787, SopacNow.org. State Theatre NJ, 15 Llivingston Ave., New Brunswick, 732-247-7200, StateTheatreNJ.org. 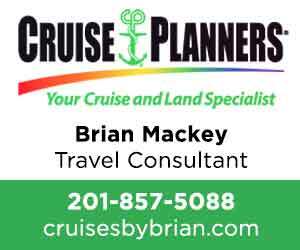 Cruise Planners Travel, 32 Bohnert Pl., Waldwick, 201-857-5088, CruisesByBrian.com. Check out the marketing potential of New Jersey’s LGBT magazine and the local news and event website for the LGBT community. Rates start as low as $15 a month online for a listing in this directory. Online and print magazine all-inclusive Business Partner programs start at $520 for an entire year. Full year programs save over 55% and include social networking, eblasts, banner ads, print ads, and a listing in the print and online directory. FIND OUT MORE – Call today 609-213-9310, or contact us. Please consider supporting Out In Jersey magazine today. 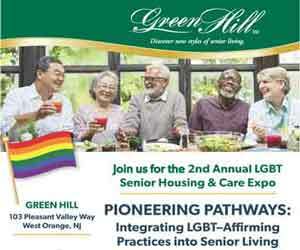 Help to create a stronger NJ LGBT community while growing your business! For a report on inclusive LGBT marketing from LOGO and Witek Communications click here. Link to our latest report and story on LGBT buying power in the American economy.